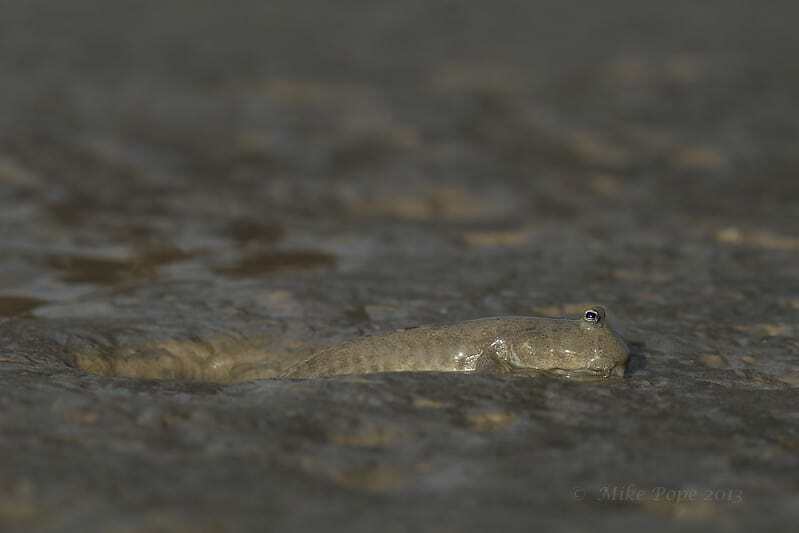 This video, recorded in India, is called Mudskipper (Boleophthalmus dussumieri) behaviour. There are often quiet times in between coastal birding, especially during low-tide when the sea appears to fade away in the shimmering distance. However, if you look more closely on the mud flats during low tide, you will find some interesting species and for this post these are inter-tidal Mudskippers; a fascinating species in their own right that are adapted for terrestrial environments and an amphibious life that is almost unrivaled. In Kuwait, we have 3 species of inter-tidal Mudskippers and in this year I have been fortunate to find and photograph all 3. 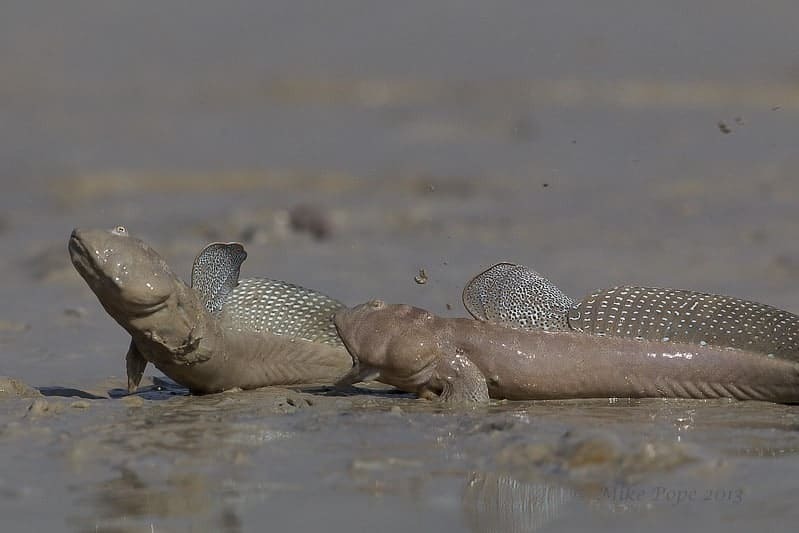 These gobies are amphibious air-breathers that live predominantly on inter-tidal mud flats and prove that fish can indeed walk. 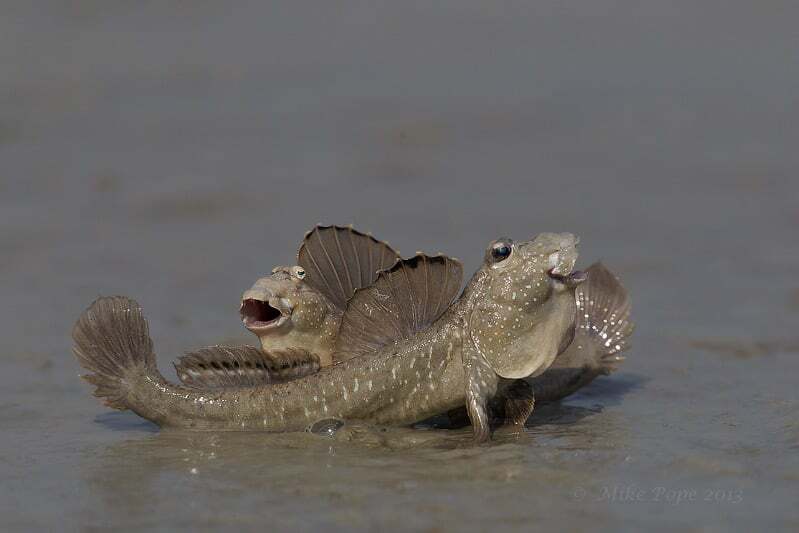 The last and one that took me the longest to find is Scartelaos tenuis (Slender Mudskipper); ‘Scartelaos’ probably refers to the typical tail-stand of males during courtship. This entry was posted in Environment, Fish and tagged Kuwait, photography by petrel41. Bookmark the permalink.